Lets Switch Bodies Comic 5. XDDD. Wallpaper and background images in the Hetalia Couples! 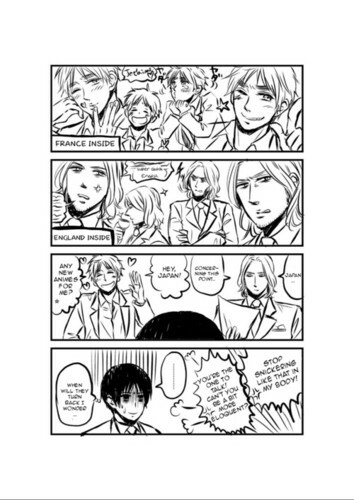 club tagged: hetalia couples aph love uk france us japan. This Hetalia Couples! fan art might contain venn mchoro, mchoro venn ya, and mchoro wa veni.